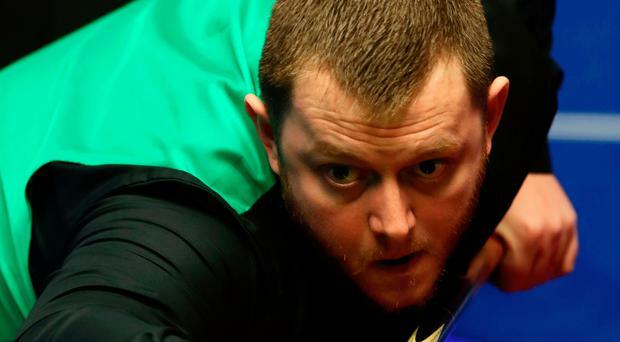 Mark Allen will set his sights on his main goal - next month's World Championship - after exiting the Coral Tour Championships in Llandudno at the semi-final stage last night at the hands of Neil Robertson. Aussie Robertson triumphed 10-6 against the Ulsterman and will face Ronnie O'Sullivan in the final - starting tonight and finishing tomorrow - for the £150,000 top prize. Both Allen and Robertson are enjoying strong seasons, having won two ranking titles apiece. Last year's Masters winner Allen, who tops the one-year list, secured titles at the International Championship and the Scottish Open. Robertson was victorious at the campaign-opening Riga Masters and the Welsh Open. The opening exchanges proved to be fragmented as Allen took a 44-minute opening frame. He then doubled his lead with a break of 78 to move 2-0 up. The third frame contained further drawn out exchanges, but it was Robertson who came out on top to cut the arrears in half. Robertson capitalised on his momentum by compiling a century break of 106 to go into the mid-session at 2-2. Further contributions of 101, 61 and 69 helped him to make it five on the bounce, as he led 5-2. Allen then stopped the rot with a break of 77 to make it 5-3 and set up an intriguing evening session. The Antrim cueman came out last night all guns blazing and managed to get to within a frame of the 2010 World champion at 7-6. But that was as good as it got for the 33-year-old as Robertson pulled clear to clinch victory. O'Sullivan starts out tonight as the man in form, having reached seven finals from the 10 events he has contested this season, winning four of the previous six. "I'm not driven by records and I'm glad I'm not," said O'Sullivan. "I have had the ultimate experience of being king of my sport and I am still fighting and still punching - I'm proud of that." By Steve Simpson Neil Robertson admits he's a "dangerous opponent" as he stormed his way to round two of the World Championship by thrashing Michael Georgiou 10-1.